As if right on cue, one of our clients forwarded this article to us after they received our recent Success Story on how we helped a homeowner thinking ahead to retirement, map out a plan to pay off their mortgage 12 years sooner and accumulate an additional $24,000 heading into retirement . This article is just another example of why our mortgage company puts such emphasis on helping homeowners to better manage their mortgage and other debts over time. 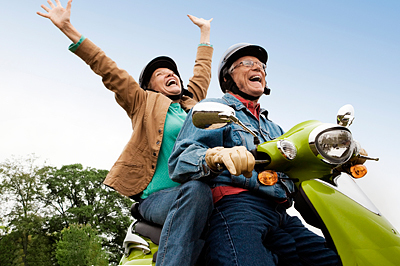 This is to help ensure you are on the right path to retire when you want, and how you want. Many people unfortunately do not realize how behind they are when it comes to having enough saved for retirement to get them through 20 to 30 years of no regular employment income. The thought of having no mortgage when retirement comes around may seem like a out-of-reach dream, but it is possible with proper planning and advice. This entry was posted in Blind Spot 2: Increasing Fiscal Literacy. Bookmark the permalink.